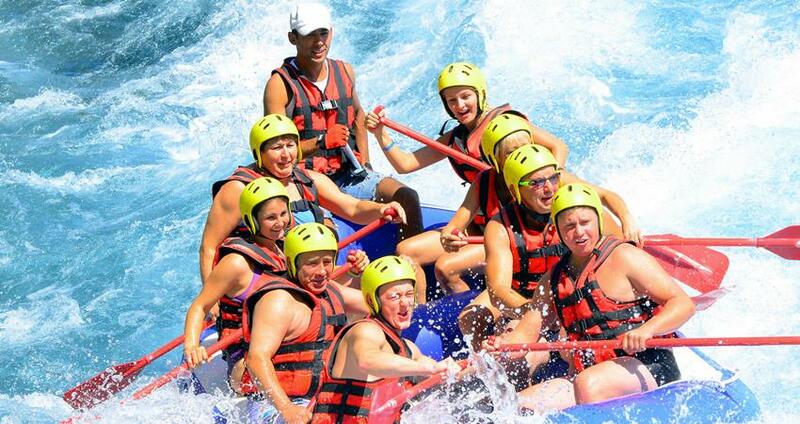 When the urge of adrenaline hits you during your holiday in Turkey, our Fethiye Rafting Tour is the best choice for you. Especially if you have an adventurous soul, this will be a great opportunity to spend a whole day full of adrenaline in the wild nature. 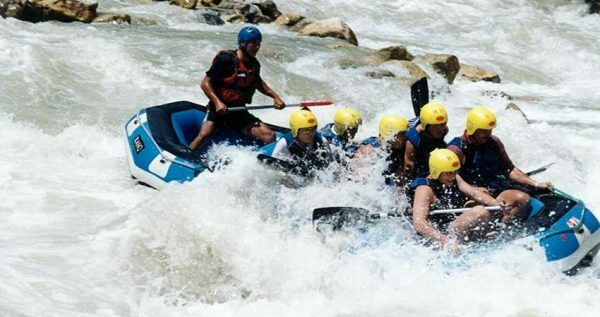 As its rapid is graded over 4, Dalaman is the most challenging river for rafting. Be ready for getting wet ! 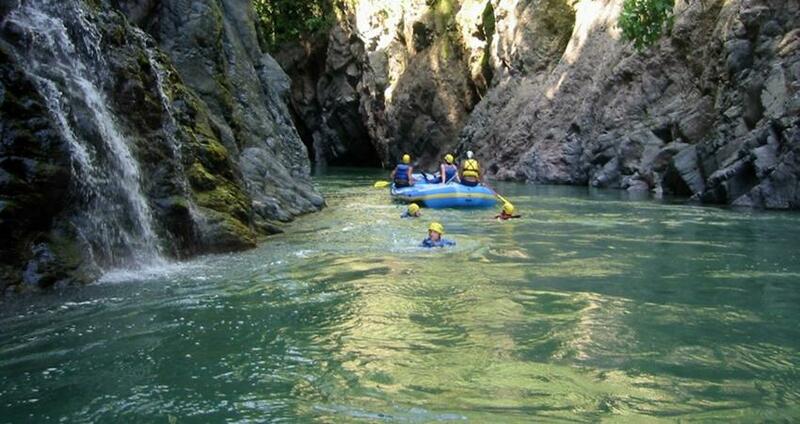 In the wavy parts of the deep canyon, your adrenaline level will hit the top! Your screams out of excitement will echo between the canyon walls. You are welcomed to join this amazing experience alone or with your loved ones. You will ride wild waves, and experience a wild time on the boat. 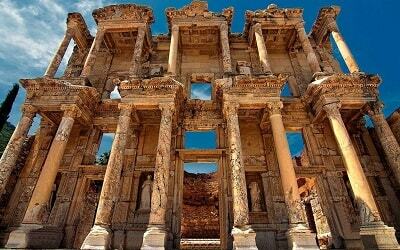 The day you will spend in Dalaman will have the highest level of excitement which will you never forget. 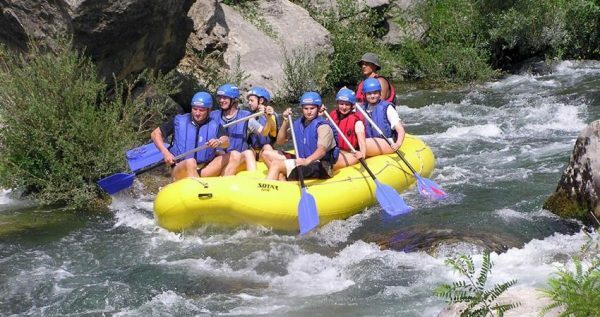 When we arrive to the rafting base, our professional International Rafting Federation licensed instructors who have a huge experience about rafting on Dalaman river will give a detailed training. As your safety is our first priority, every safety measurement will be taken, and you will have nothing to be worried about. During your day out in Dalaman river, you will have the unique opportunity to get in a natural jacuzzi and be astonished by the incomparable beauty of nature surrounding Dalaman river. 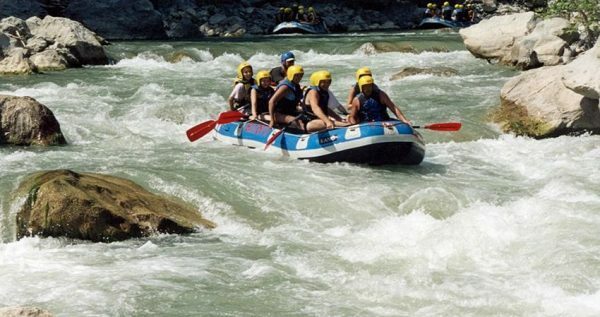 This rafting route is one of the most challenging and exciting rafting courses That passes through an amazing valley with pine forests which holds a thousand shades of emerald green and white crystal-clear waters coming from the waterfalls. 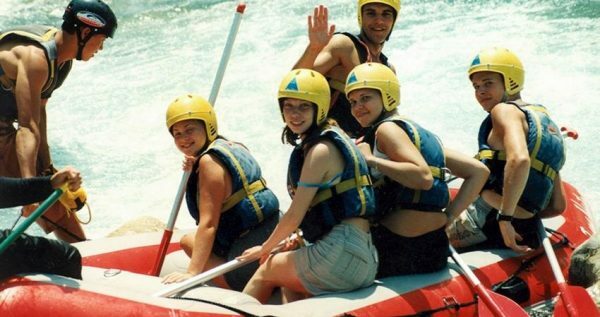 During our Fethiye Rafting Tour, your only duty is to have fun and enjoy this thrilling experience of the rafting. 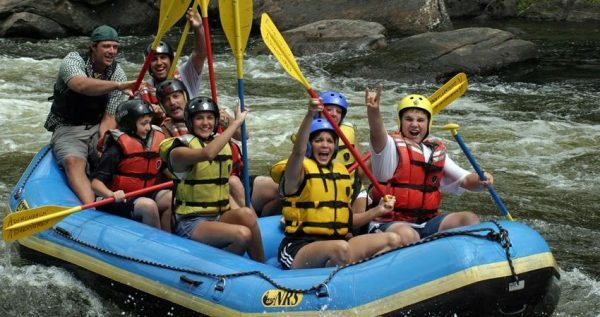 Apart from this adventure on the wild waves of the river, we will stop at the half way for swimming and cliff jumping. When we give a break, you will also be served a delicious freshy-cooked lunch. 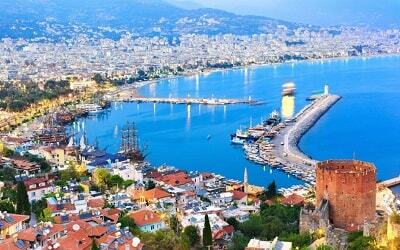 This day you will spend in Dalaman, will be filled with adrenaline! 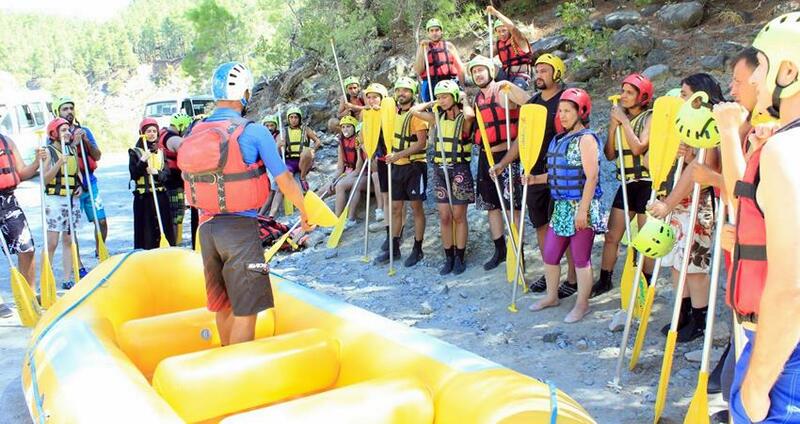 This day you will spend with Fethiye Rafting Tour, will be a different and unique experience for you. As Fethiye is a location where offers you a variety of choices to experience during your holiday, our Fethiye Rafting Tour is one of the best ones if you have an adventurous soul, and craving for excitement and adrenaline. If you are looking for more adventure, Fethiye Jeep Safari will be another good day for you. 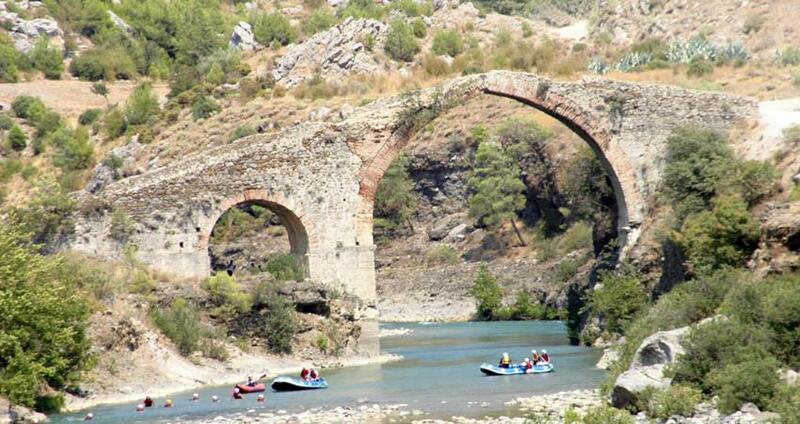 Our Fethiye Rafting Tour has an early start in the morning. According your pick up time our drivers will be ready and waiting for you infront of your hotel. 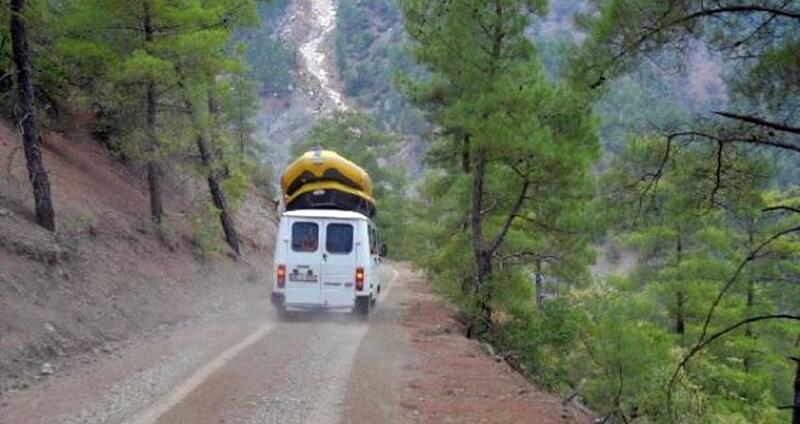 After a short drive we will arrive to the our rafting camp at Dalaman. Dalaman River is one of the most famous rafting locations in Turkey. It is graded over 4, which means it is very challenging. Be ready for getting wet and tired, your scream will be echoed from the walls of the canyon while you are on the boat, going up and down between the waves. 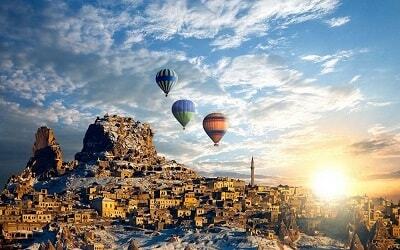 It goes through an amazing and untouched natural environment, the scenery around it will enchant you. If you are lucky, you can see a variety of wild animals, too. Before we start to raft, our officially International Rafting Federation licensed instructors will give you a detailed training. They will explain you everything in detail. Every equipment will be introduced to you. As our first priority is your safety, every safety measurement will be taken and everything will be checked beforehand. Our professional instructors will explain what to do and what not to do in detail to you, before you hop on to your boats. 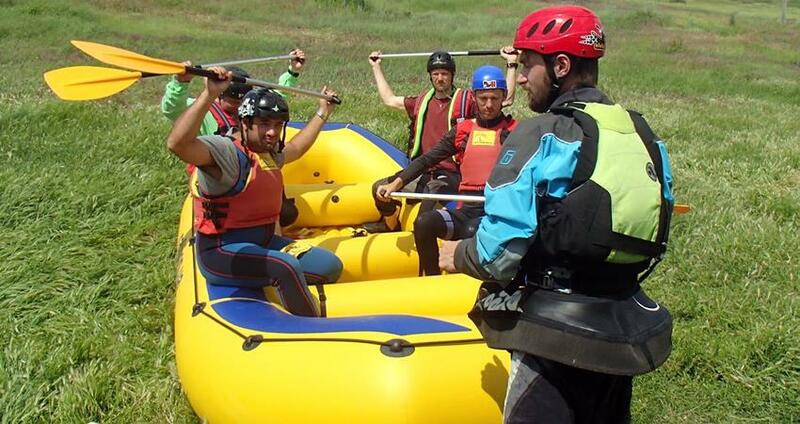 After the training, you will get on your boats and the adventure starts immediately! Our professional instructors will be accompanying you during the whole route. During the first part of the rafting, you will cover nearly the half of the route. The wild waves will swing your boat from one end to the other, and your screams out of excitement and adrenaline will be echoed on the walls of the valley. The amazing scenery of the nature surrounding you will be accompanying you. After completing the first half of the tour route, the time comes for a delicious lunch! 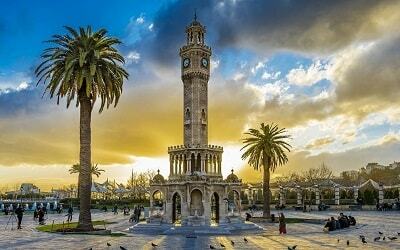 At Gurleyik, you will be served a delicious dinner, and you will also have 2.5 hours of free time. You can swim, or get in the natural Jacuzzis in this free time. After the lunch and swimming break, it is the time for completing the second half of our wild route! 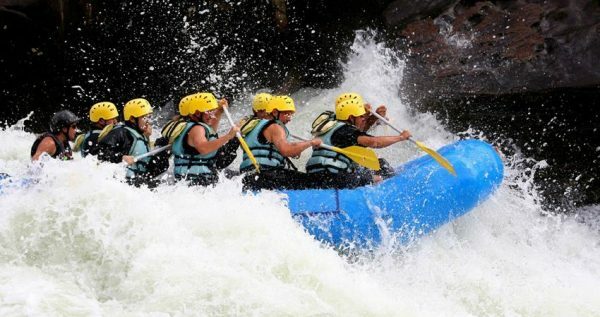 The river will surprise you with strong waves, which may turn your boat over. The adrenaline rush will take your soul under control. At the end of a tiring but pleasurable day at Dalaman River, we will head back to your hotels. Our comfortable buses will be ready there, and we will head to your hotels after an exciting but tiring day. If you need anything during your travel, please inform our guides, or drivers. They will be at your service.